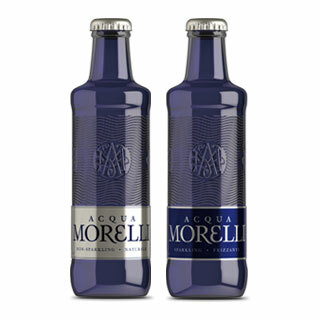 With its remarkable soft taste, ACQUA MORELLI calms and relaxes the taste buds. It’s become a firm fixture in the gourmet scene: the cocktail. Year after year, it comes up with new surprises in the form of new trends and novel creations. International flair is part of the name of many of these cocktails, and mixologists around the globe continue to perfect their craft to conjure up new creations. Many of the artists in this branch of the gourmet business appreciate the importance of a pure mineral water as a means of sensitising the tongue for an optimal taste experience. With its remarkable soft taste, ACQUA MORELLI calms and relaxes the taste buds. Ideal for an evening filled with a variety of delightful but diverse taste experiences. The premium mineral water ACQUA MORELLI ensures that all taste nuances remain pure and characteristic – nothing is diluted, nothing altered.